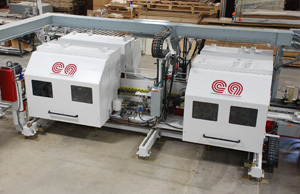 Tenoner Machinery for Wood Processing by Creative Automation Serving the Woodworking and Related Industries – Creative Automation, Inc. 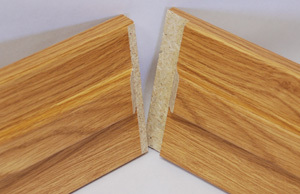 Double end tenoner sizes and profiles prehung door frame heads and jambs. Features jump tooling to eliminate chipout. 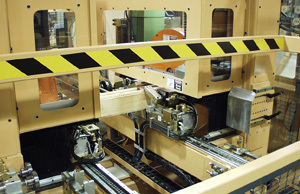 Profiled head and jamb components. 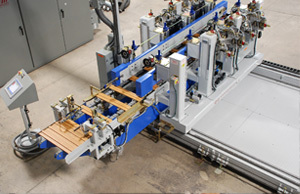 Double end tenoner sizes, dados and applies foiling to panels. 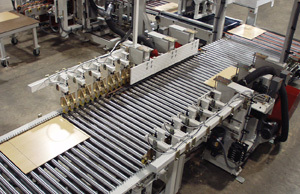 Two single end tenoners rabbeting cabinet panels. 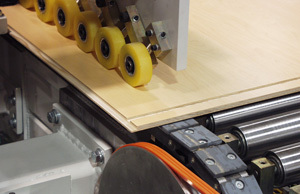 Countertop corebuilder. 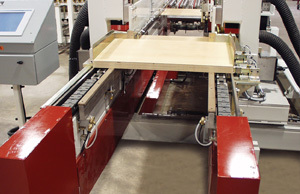 From a single panel, the machine sizes the panel, cuts builddown strips, glues on the strips and profiles the edges.